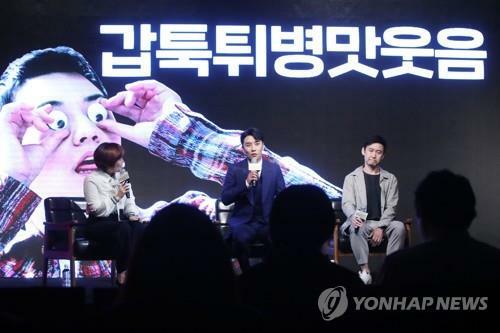 SEOUL, Oct. 1 (Yonhap) — A new sitcom telling the real inside stories of YG Entertainment and its artists will put the company’s management on edge but is sure to offer wry humor and wit to viewers, its creators said Monday. The new show, “YG JeonJa” in Korean, or “YG Future Strategy Office” in English, centers around what is painted as the struggling company and Seungri, a member of boy band BIGBANG, who has been dispatched to a new strategy office with a mission to turn around one of the country’s biggest entertainment companies. At a press conference in Seoul on Monday, producer Park Jun-su said he was inspired by Samsung Electronics’ now-disbanded Future Strategy Office, which was once the company’s crown jewel tasked with setting up long-term strategy for the global electronics giant. Park moved to the entertainment company from the cable music channel Mnet last year. “I’ve been producing a series of shows that make fun of the dark sides of Korea’s entertainment industry, and I thought YG is going through a dark patch at the moment,” the producer said, referring to the company’s current lackluster performance, especially after four of the five members of the company’s biggest and most profitable act, BIGBANG, joined the military to fulfill their respective mandatory service duties. “I was thinking about casting Chairman Yang Hyun-suk, but he rejected it as soon as I brought up the subject,” he said, “The chairman is currently suffering from panic disorder and depression. He recommended Seungri instead, who is of a similar kind,” Park said matter-of-factly, drawing laughter from reporters. 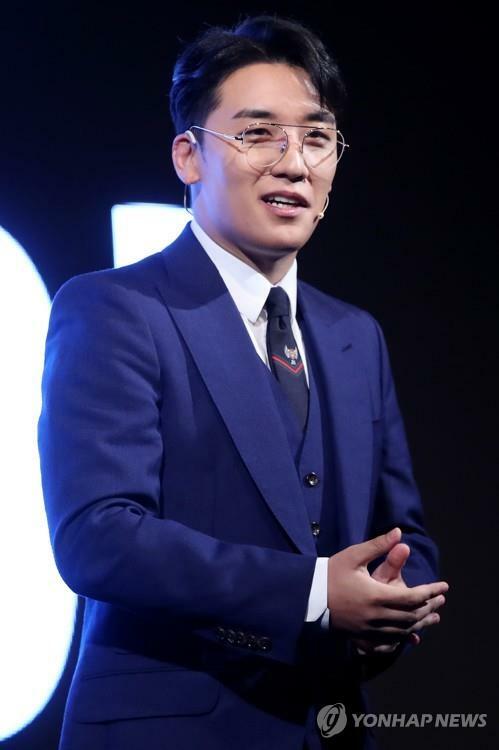 Yang willingly became a laughingstock himself by endorsing the producer and scriptwriter’s plan to use various embarrassing scandals involving the company’s artists as the subject of the show, according to the producer and Seungri. “YG’s market value has been sliding. And Yang is rumored to spend every night with a bottle of whisky,” Seungri joked. The show is based on real episodes, including sensitive, headline-grabbing scandals, involving the company’s young artists, mostly in their 20s and early 30s. One such case includes the photo of a shirtless, sleeping Seungri that was widely circulated without his consent a few years ago. The photo spurred unseemly rumors about him and damaged his image as BIGBANG’s youngest member. Seungri said he was taken aback when he read the script because it included so many sensitive incidents, including his own. “It tells various inside stories like the company’s contracts with artists, on top of not-so-nice issues known to the public and fans … I was a bit worried if the show might tarnish my image, but the producer persuaded me (to join it),” he said. To make the show as realistic as possible, the production team wrote two different versions of the script — one for the crew and the other for the cast. For his part, Seungri didn’t read the script most of the time, but only was informed, before shooting, of the stories in general to film for the day. “I didn’t want to act. I wanted to show the real me as much as possible,” he said, adding that he hoped the fun yet moving story in which the disorderly team struggles to come up with ideas to help the company recover from its woes connects with a global audience, regardless of their knowledge of the Korean entertainment industry. The show is set to premiere on Netflix on Friday.